Two little kittens, Jake and Fluffy, are adopted by a man named Mr. Farmer who lives in the country on a farm. 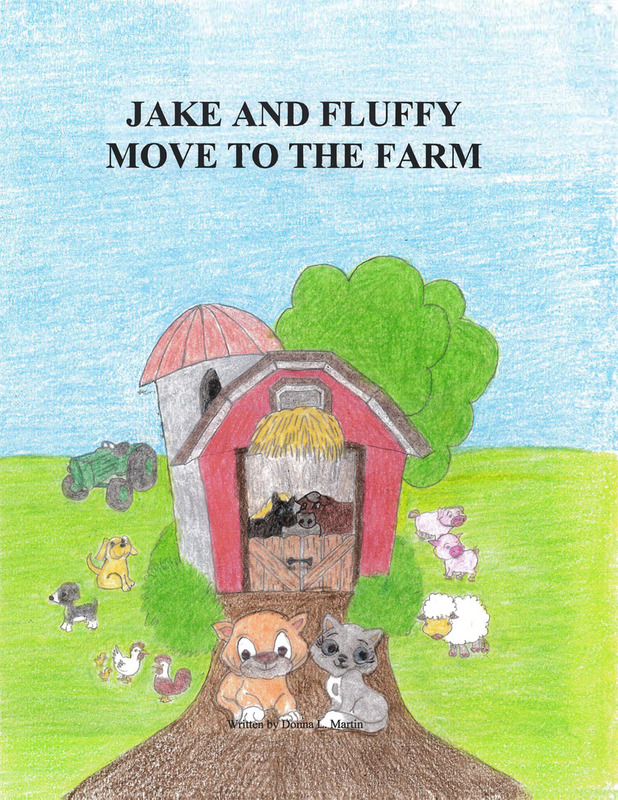 On their first day at the farm, Jake and Fluffy become friends with all different types of animals, including a skunk named Stinky. The moral of this story is to always be kind to others no matter how different you are – even puppies and kittens can be best friends! And don’t miss the next book in the Jake and Fluffy series, Jake and Fluffy get Lost in the Woods. Donna L. Martin is a mother, homemaker, and former farmer from Kansas. She is now retired and resides in Knoxville, Tennessee, and decided to write children’s books in her spare time. She is an avid animal lover and enjoys making children smile whenever possible. She hopes that children all across the globe will read and enjoy this book.